About Purley Freemason Lodge Croydon, Surrey. 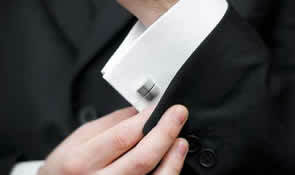 A local Masonic Lodge in Croydon for men from all walks of life. Purley Freemasons Lodge in Croydon was formed in 1906 by local Masons who wanted to give something to the local community of Purley and Croydon. The Consecration Ceremony was performed on Tuesday March 20th 1906, at the Imperial Restaurant, Regent Street, London, by RW Bro Hon Mr Justice Bucknill, PGW, Provincial Grand Master. Some 105 Brethren attended including 16 Grand officers, 19 Founders and 70 visitors. The Lodge first met at the Congregational Hall, Purley until October 7th 1910 when it moved on a number of occasions to the Art Gallery, Croydon. On April 12th 1913 the Lodge moved to The Greyhound Hotel, Park Lane, Croydon and continued to meet there until 1929. 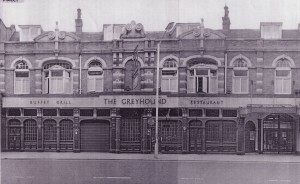 Greyhound Hotel, Park Lane, Croydon. Meeting place until 1929. 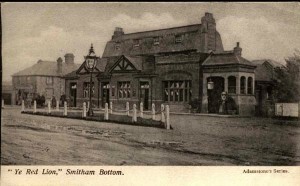 The Greyhound Hotel had been built in 1493 and was a meeting place for fox hunting. It was also the first licensed hotel for the production of stage plays. Meetings were held here by Purley Freemasons Lodge until 1929 when seven members moved a motion to remove the Lodge from the Greyhound Hotel to the Art Gallery or some other desirable place in the Province of Surrey. A special meeting was held on 23rd November 1929 ‘to consider the desirability of moving the Lodge from the Greyhound Hotel to the Tudor Rooms, Coulsdon. Coulsdon. Meeting place of the Lodge for nineteen years. The Red Lion Hotel, Coulsdon. This venue was to last for nineteen years. No doubt members enjoyed the pub atmosphere! In 1947 Brethren heard of the proposal to purchase the former St Georges Presbyterian Church in Oakfield Road that had been closed down after the war and had been badly damaged by air raids. The plan was to convert it into a Masonic Centre. To this day Purley Masonic Lodge in Croydon still meets here on Saturdays.